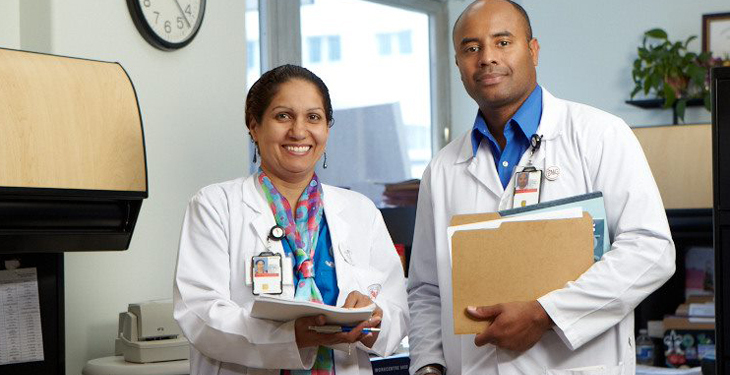 A Nurse Executive career at the U.S. Department of Veterans Affairs (VA) is an opportunity to grow your leadership skills while shaping the delivery of health care to more than 9 million Veterans. Discover exactly what that means by visiting VA Careers at the American Organization of Nurse Executive’s (AONE) annual meeting from April 10 to 13, 2019, in San Diego at the convention center. “We’re thrilled to be attending AONE 2019 and are ready to answer any questions from Nurse Executives interested in working at VA,” said Donna Collins, RN, National Associate Director of Nurse Recruitment and Retention at VA’s National Health care Recruitment Service. AONE provides leadership, professional development, advocacy and research to advance nursing practice and patient care. The annual meeting assembles over 2,600 nurse leaders who come to connect, learn about the latest trends in nursing and health care, and gather innovative and insightful ideas on nursing leadership. On April 11, from 9:30 a.m. to 1:30 p.m., speak with Lorie Durso, VA Nurse Recruiter; Alyshia Smith, Associate Director of Patient Care Services at Phoenix VA Health Care System; Marcia Lysaght, Associate Director of Patient Care Services at Miami VA Healthcare System; Kerri Wilhoite, Associate Director for Patient Care Services at South Arizona VA Health Care System; Bernadette Jao, Nursing Director at VAMC Manchester; and Pandolla Hicks, Associate Chief Nurse at Washington DC VA Medical Center. On April 12, from 9:30 a.m. to 1:30 p.m., speak with Cincinnati VA Medical Center’s Rebecca Beckman, Chief Nurse and Director of Quality; Meagan Whitson, Nurse Manager; Lorie Durso, VA Nurse Recruiter; and Ashley Spille, Nurse Manager. “We look forward to sharing our first-hand experiences on the job and talking about VA’s unbeatable benefits and work-life balance,” Collins added. VA health executives and other senior leaders receive competitive pay, including market, performance and incentive compensation, based on education and length of practice. They also receive rewards for performance, accelerated raises, step increases and honors for outstanding service. VA health care careers offer Nurse Executives significant work-life balance, including 39 paid days off per year for Title 38 hires. Executives are also eligible for a wide array of benefits, including medical and dental insurance and generous leave policies. Employees at VA can plan for the future by participating in the federal retirement system. VA Nurse Executives who move to a new facility can take their benefits with them. VA providers with one active license can also work anywhere in the United States, Puerto Rico, American Samoa, Guam and the Philippines. VA may offer mobile telework options and transportation supports. ATTEND AONE 2019 and visit VA’s Nurse Executives at Table 132. APPLY for an open position near you to #ChooseVALeadership careers as Nurse Executives. PRINT and share the VA Nurse Executive brochure (pdf). EXPLORE VA careers at www.VAcareers.va.gov.